Windows - does it really offer the same performance as it did on fresh installation over time ? The answer is 'No'. Unlike Linux, Windows does not provide consistency in performance. A Windows which is more than a month old needs to be tweaked every now and then in order to keep its pace just in par with that of newly installed Windows. So are you ready to speed up your windows ? 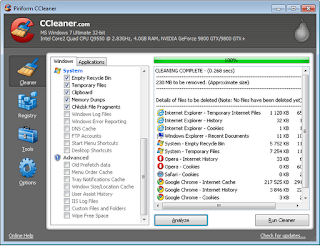 CCleaner removes all of the unnecessary files that are cluttered in your Windows. 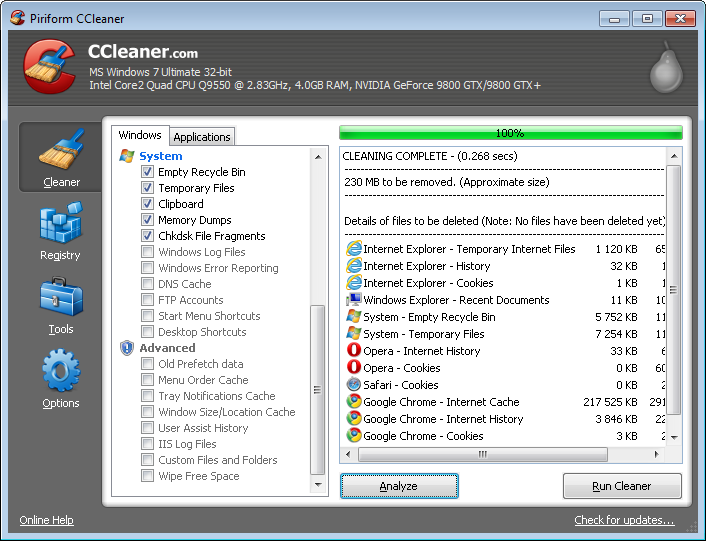 It removes your History, Cache, Recent Documents List, Log files and a hell a lot of other junk files thus clearing up your disk space. This is a must have utility to speed up your aging Windows. It also removes unwanted Registry entries. One of the reasons that slows down Windows is fragmentation ( inefficient storing of files on disk - parts of file scattered across the disk ). 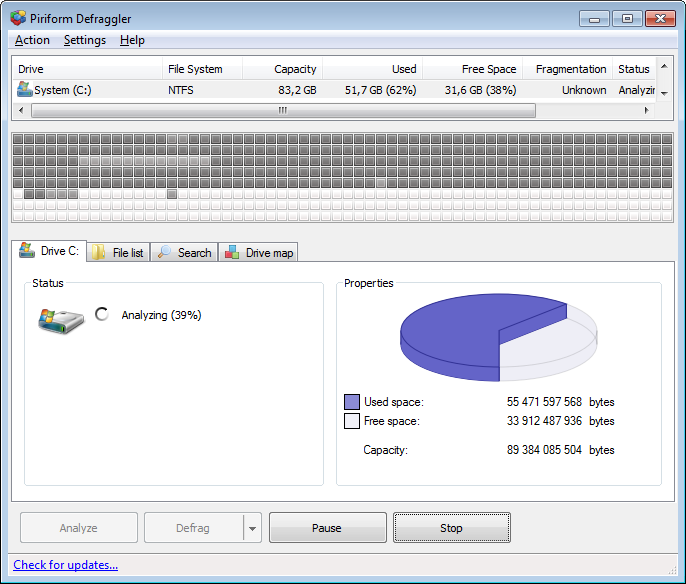 Defraggler is a free utility that defragments the hard disk thus freeing up the drive and also placing the parts closer to each other. Defragmenting your hard disk speeds up your Windows a bit. One more thing that makes your Windows a drag is unwanted applications running in the background. MSConfig is a tool that helps you remove unwanted application from starting up automaticall. This one already comes with the Windows. Just go to Run and type 'msconfig'. A dialog box will open. 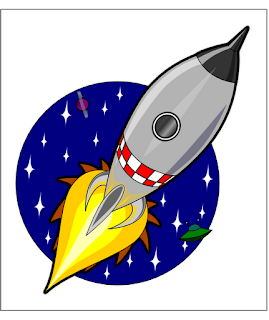 In the 'Startup' tab, remove the unnecessary applications that startup automatically. This will save your boot up time. But do not disable the security or driver softwares . Only remove the applications that you deem unnecessary. If you are not sure of what applications you are disabling, then just leave them be. After you have made the necessary changes, then click on 'OK' button. Then just click on 'Restart' button. Another culprit that makes Windows sluggish is VIRUS and other malwares. Windows is being the predominant target in the market of Malwares. In order to keep those Malwares out of commission from your WINDOWS, you must update your Antivirus software frequently. Set the Automatic Updates to ON in your Antivirus. In that way it will automatically update itself whenever the VIRUS database gets updated. This is not mostly the case, but sometimes there may be a software glitch in WINDOWS resulting in sliggishness that needs to be patched. 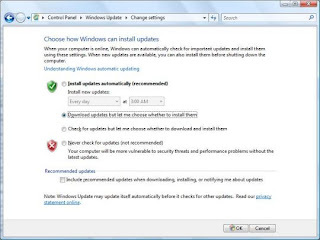 Updating your Windows regularly will help your cause to speed up the WINDOWS. 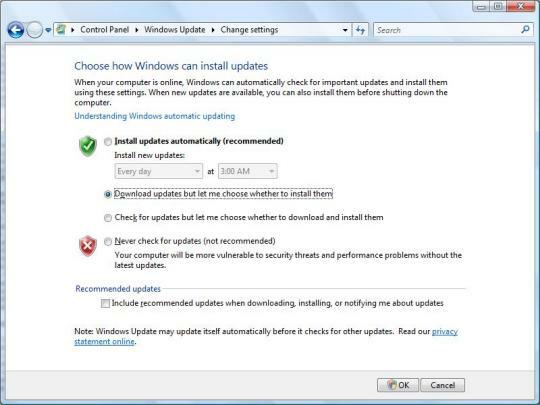 Turn on Automatic Updates in Windows set for a regular interval of time. This will also shut the backdoors for hackers or exploitation tools to hack your system. Well, have you tried these methods and found your Windows have speeded up. Good. These are some of the ways to speed up your Windows for free. If you know about something similar, please mention them in the comments.